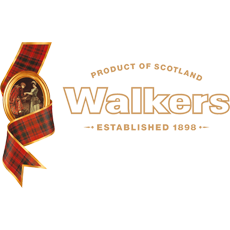 The Walkers Biscuits company was founded in Joseph Walker's Scottish Highlands bakery in 1898, where the whole operation remains today. Zepbrook stock mini packs of both their Chocolate Chip Shortbread Biscuits and their Assorted Biscuits. These small packs are perfect for an office environment and client meetings. Get your Volvic tea and coffee from Zepbrook tomorrow: order before 5pm if you're in London (or the M25 area). Do you need Volvic products that are not currently listed on our website? Contact us - we can source and deliver many other products for a competitive price.Contact us - we can source and deliver many other products for a competitive price. Call us now on 020 8752 0110 or enquire online. 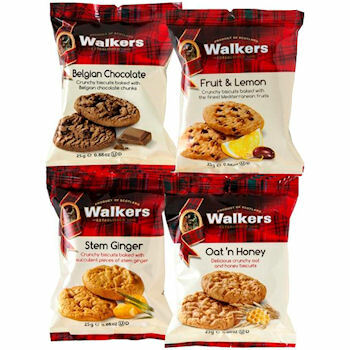 An assortment of delicious Walkers biscuits made in the Scottish Highlands using the finest pure ingredients with no artificial colours, flavourings or preservatives; just generous handfuls of wholesome produce and age old recipes. 100 pack assortment of biscuits in 4 varieties: Belgian Chocolate, Stem Ginger, Oat 'n Honey, and Fruit & Lemon. 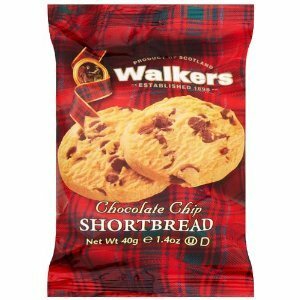 Pure butter Highland shortbread strewn with delicious chocolate chips, baked in the Scottish Highlands since 1898 using only the finest pure ingredients with no artificial colours, flavourings or preservatives. 60 pack assortment of shortbreads. 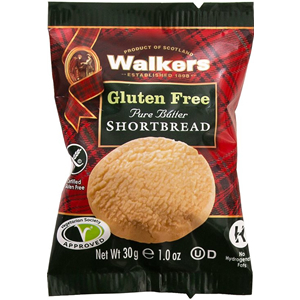 Walkers classic pure butter Gluten Free shortbread rounds offer a crumbly "melt in your mouth" texture - delicious. 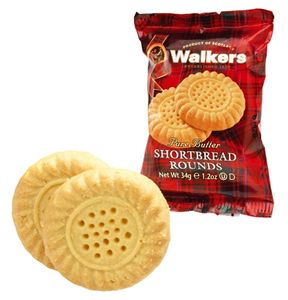 Walkers pure butter Shortbread Rounds are made entirely with creamery butter and the finest ingredients possible to obtain. These convenient individually packed snack packs are great as a take along snack and party favors. 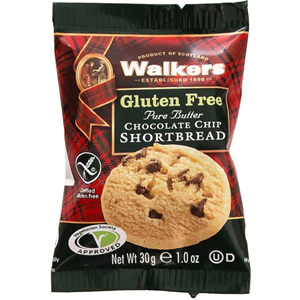 Walkers Gluten Free Chocolate Chip Shortbread contains a generous helping of chocolate chips providing a rich and luxurious complement to Walkers classic shortbread.